GALLÉ, DESIGN FOR LUXURY BRANDS: Naming and brand identity design for the ethical jewellery company. We were approached in 2016 with the mission to create the brand identity for a new, ethical jewellery project. The client's goal was to radically transform the diamonds and jewellery sector by creating a virtuous company that would deal directly with all the known issues that have been plaguing the jewellery industry for decades. Our approach was to treat virtuous jewellery as a by-product of consciousness. 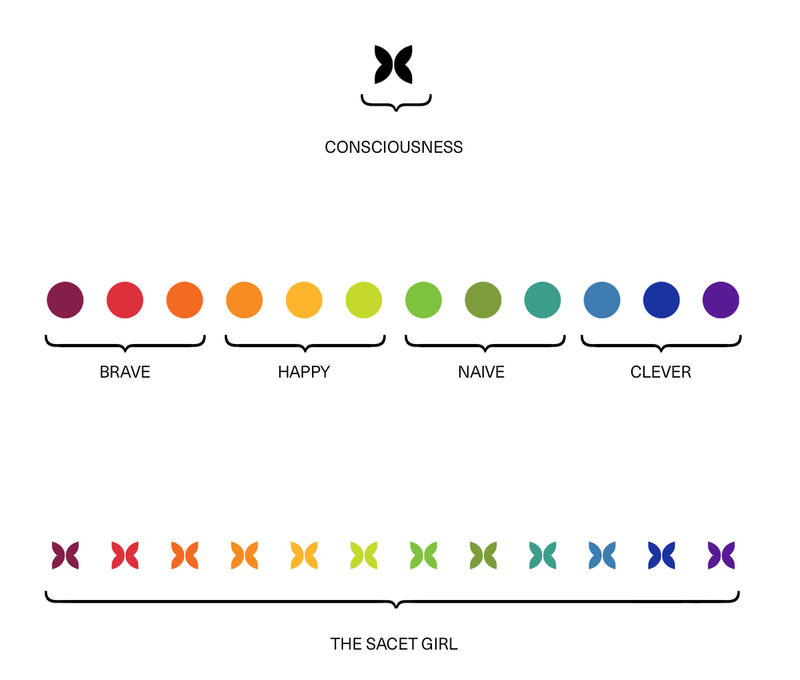 This is how we arrived at the name: SACET means "conscious" in Sanskrit. Conscious humans think beautiful thoughts. Their thoughts are the spark that enables them to create beauty. They project this beauty onto the world and onto themselves. This is the reason why the Sacet icon is not a butterfly, but a butterfly's wings. The wings are the "jewellery" of the caterpillar when it has become a butterfly. The Sacet woman is clever. She is happy. She is brave and naïve enough to know she can make a difference. It is important to highlight, however, that she is all those things because of one core attribute: consciousness. Consciousness is, essentially, cleverhappybravenaïve-ness. This is the rationale behind the 12 Sacet colours, which inform the brand's packaging and other delivery assets.